eavy-duty box has snug fitting air-tight closure. 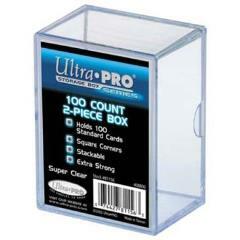 Holds 100 Standard size cards. Stackable.